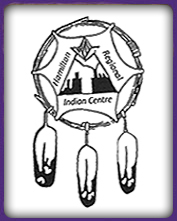 Sago and welcome to our non-profit Aboriginal organization site! In 1972, a group of Aboriginal people established a temporary cultural centre, housed on Park St. South. The people felt there was a great need for a "Gathering Place" in the Hamilton community. After a lot of hard work and encouragement from the Secretary of State and the Aboriginal community, the "Letters Patent" were issued on June 19, 1973. The founding members were Stewart Victor Longboat, Helen Van Norman Probert and Elwood Cecil Montour.